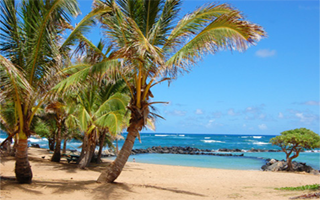 Lydgate Beach Park is a poplular beach, picnic, and playground area that includes a 2 mile bike path. 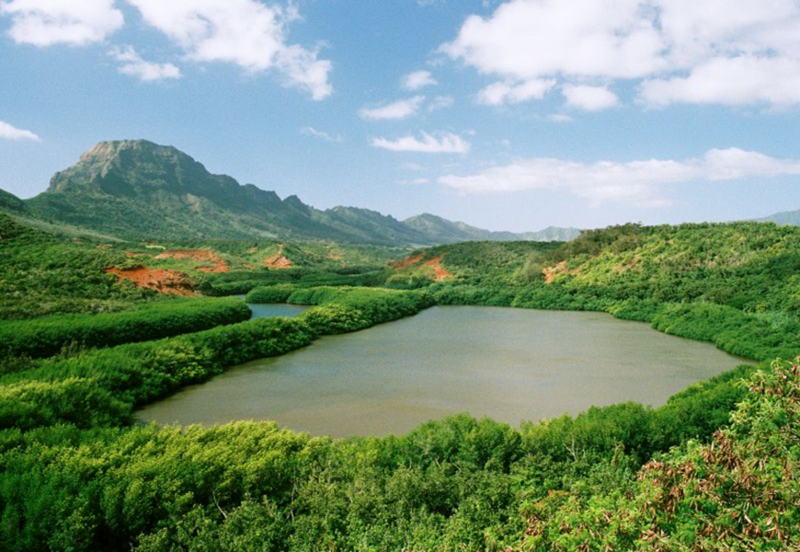 Here you will see the Kikinaakala Heiau, located at the northern end of the park. Hikinaakai means the "rising of the sun", and since it is located on Kauai's east shore, it has a nice view of the sunrise. Lydgate is a popular destination for families as it is a great place for snorkeling and has a large playground. 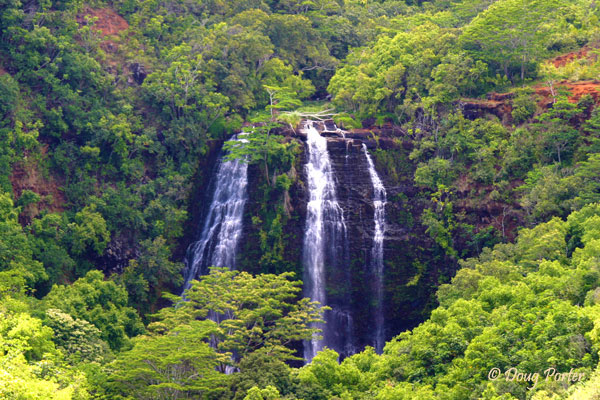 Opaeka'a Falls lookout gives you a spectacular view of this waterfall. Opaeka'a means rolling shrimp. This name dates back to days when the native freshwater shrimp were plentiful in the stream and were seen rolling and tumbling down the falls and into the churning waters at the fall's base. By James & Diane B. 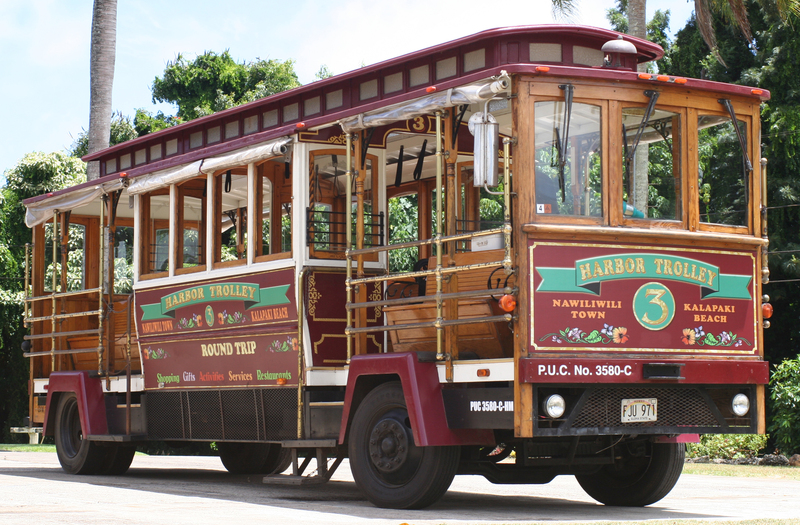 "We feel really lucky to have been guests on your trolley! The tour was wonderful! The history and the scenery were proceless! Thank you." 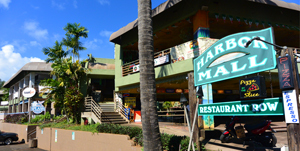 The Tour begins and ends at Harbor Mall, centrally located across from Kalapaki Bay in Lihue. 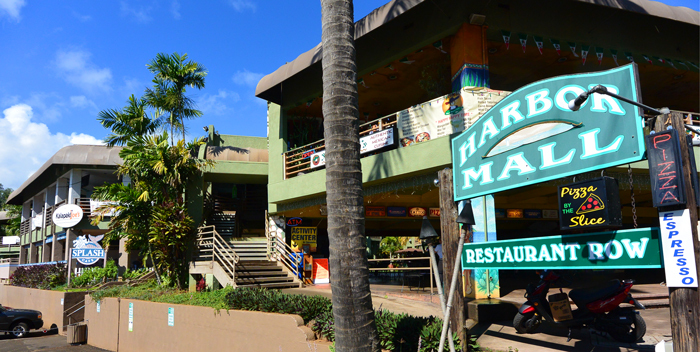 It is a short 5 minute walk from the cruise ship, or catch the Free Trolley Shuttle that goes to and from the ship and Harbor Mall. 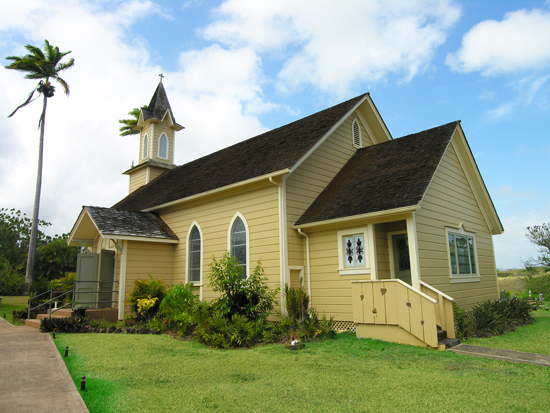 German Hill is the location of the first Lutheran church in Hawaii. This quaint church and grounds is open to the public. It was constructed in 1885 to look like a German village church. The church's unusual floor slopes downward from the center like the deck of a ship. Out back is a sweet little cemetery with some of Kauai's well known and beloved kama'aina. "Very informative tour by a lady who loves her job and loves where she lives and wants to tell all about it." 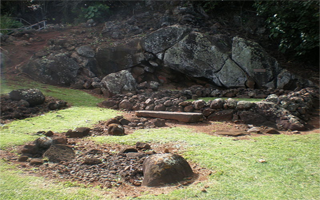 This birthplace of Alii (Hawaiian Royalty) is marked by several large boulders. A child born here was assured high-ranking status. 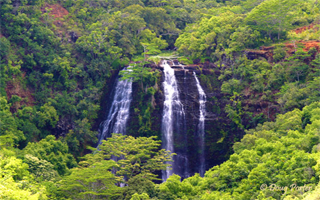 Kaua'i's, Kaumuali'i was the last chief to be born here. Also at this location is the Holoholoku Heiau, which is said to be one of Kaua'i's oldest heiau. This lookout gives you a fabulous view of the Alekoko Pond, which is thought to have been built approximately 580 years ago. Legend has it that the Menehune built the fishpond overnight, meticulously assembling the 900-yard lava rock wall that bisects a bend in Hule'ia Stream. By Jim & Linda B. "Very enjoyable. Running commentary was informative and entertaining! Many thanks to Janet."